DRUMS UNITED | Love Productions Inc. Drums United is an explosive and exciting world-percussion group led by Global Act Award-Winner drummer Lucas van Merwijk. With 8 percussionists from seven different countries, cultures and rhythms, it mixes African, Latin, Spanish and Indian drum traditions with Western drumming, utilizing contemporary electronic options open to the DJ. 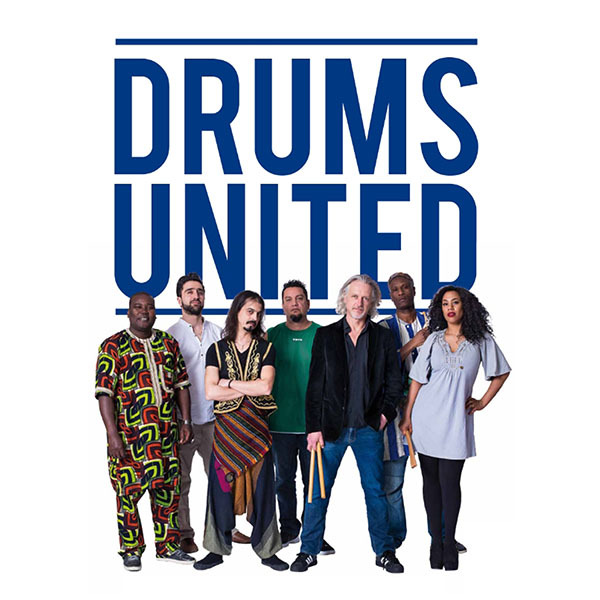 Besides the pure energy that it exudes, Drums United conveys the message that people from widely different cultures can be inspired by each other and work in harmony. Drums United occupies a unique place in the world of percussion groups because it combines elements of the rich traditions of percussion with those of song and dance. Since its inception in 2002, the band has been virtually on tour at all time. Their first program, “World Of Rhythm,” was recorded live and is out on DVD as well as CD.